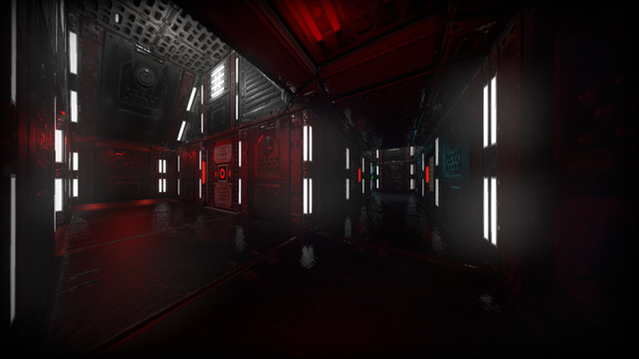 Many of you may have noticed I have been quite quiet on the Doom-side of things lately, but that’s because I’ve been working on Prodeus! I’m excited to finally share what I’ve been working on lately – a fast paced retro first person shooter that’s ticking all the boxes for Doom fans like us! Prodeus is inspired by iconic 90’s shooter games such as Doom and Quake, but capitalises on the technology available today to give you more action, more explosions, more blood, and more over the top visual effects, without compromise being made to fast based, instantly gratifying gameplay! In Prodeus you take control of a being who has been partially converted by an alien race, with an unyielding desire to destroy your creator and anything that may be unfortunate enough to try and stop you! In the later months of 2018, Jason Mojica reached out to me after having seen some of my Twitch streams and the maps I’d made, asking if I would consider mapping for a commercial project called Prodeus. I was already aware of Prodeus, having been following it’s development on Twitter, so having them reach out to me directly was a huge confidence boost! 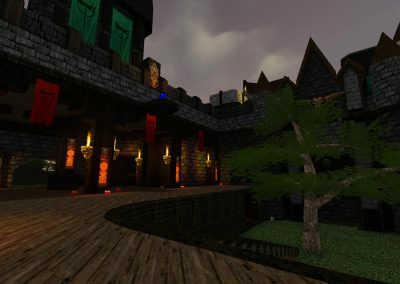 At the time I was fully committed to finishing Eviternity, so I responded warmly saying I’d love to do so, as long as I can finish up my project first. 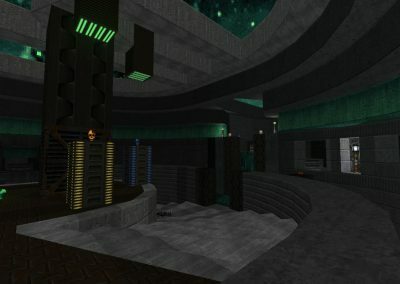 Jason pinged me a private test build of Prodeus, which featured one level to play – We called each other and I shared my screen and narrated my experience of playing it, almost as if it was a 1 to 1 twitch stream. Needless to say, I quickly fell in love with it! 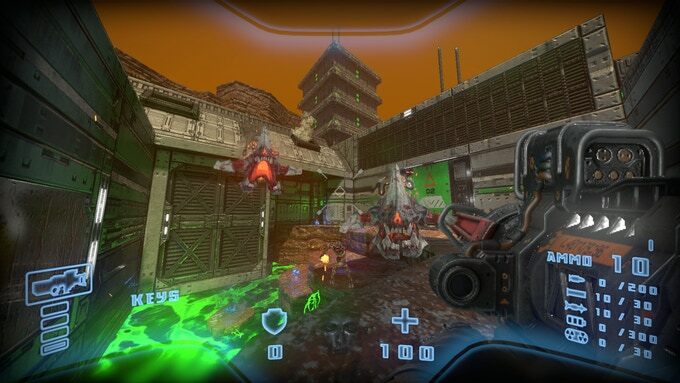 The game has a very good ‘feeling’ to it, providing the same kind of action I enjoy most in first person shooters, but with it’s own unique identity and style. After the testing session, I accepted the opportunity, but with the caveat that I will not start until I was done with the development of Eviternity, slated for release on December 10th. We settled that in the mean time, they would send me a copy which had the level editor, so I can learn over the Christmas holidays, and while I did that, they’d work out the logistics and expectations of me for the contract. I unfortunately didn’t have much time to play with the editor over the holidays, but after a couple of hour-long sessions I was already getting to grips with it, and made a test area which featured a rocky outdoors scene. In January, I was provided the contract, I finished up what final changes I needed to do for Eviternity’s final release, and then I officially became a part of the team some time in February! Since then, I’ve been punching away at Prodeus mapping, and I couldn’t be happier. I decided I wanted to work on something ‘familiar’ to what I’m used to. Something ‘doomy’. 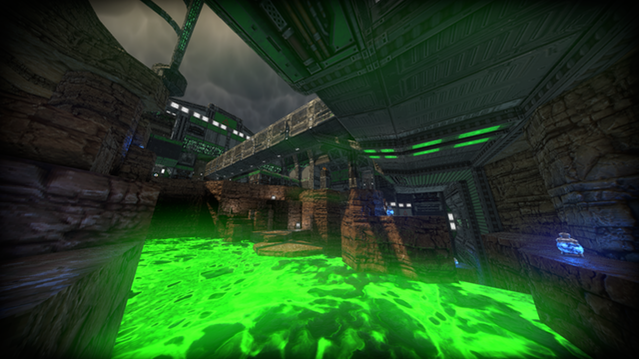 Given Prodeus’ aesthetic is strong and relatively sci-fi, I did what any Doom mapper would do, and start crafting a map filled to the brim with toxic waste! Pictured throughout this post is a series of screenshots / gifs of some of my work, so you know what I’ve accomplished so far. I hope you like what you see! This toxic processing facility is located in a barren wasteland. Throughout this facility you have to fight your way to find a series of key cards which grant you access to the exit, all while tip-toeing around the fluorescent irradiated waste. In this place, nowhere is safe; be sure to gear up and keep your eyes peeled for some cheeky secret areas which will most certainly aid you in your rampage. This is a question I’ve been asked a few times since the news has spread that I’m on the Prodeus development team. Let me tell you, this editor is nice! 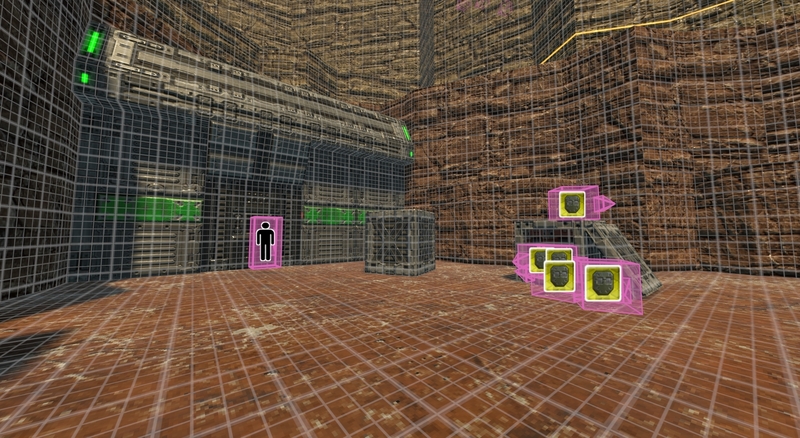 The editor we are using will be the same one distributed within the game itself, so when you get your hands on a copy of the game, you too can have some fun making maps for the game! The game is face-based. 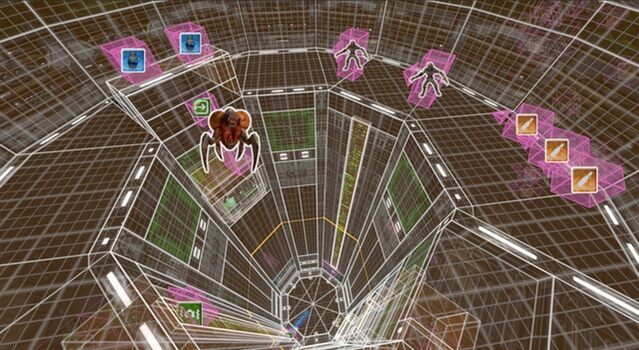 People who have mapped for a few other games may have had ‘sector based / grid based’ mapping tools (akin to how you map for Doom or Wolfenstein), and others may think of ‘brush based ‘ mapping which is what many 3D game engines use, where you make the map out of a series of cuboids. This face-based technique is almost somewhere in the middle. You control the size and shape of every individual face, or if you prefer, surface. From each face you can then do many things, be it grab one of the sides and start a new face from it, add vertices to distort the shape of the surface, extrude a series of faces outwards or inwards from it, etc. 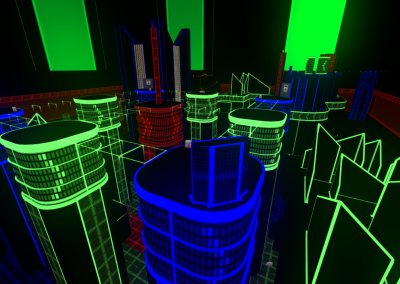 One notable aspect is that you build the game in a 3D view only, no top / side views. While to some that might sound odd, it’s very intuitive, and you know that what you see is what you get. What Makes This Editor Special? You can recolour textures on the fly to any colour of your choice. 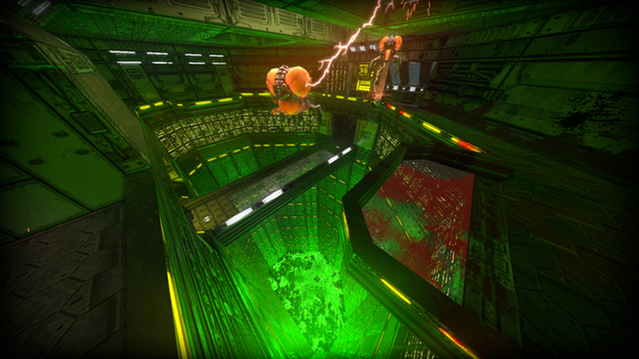 Many textures are built with “hotspot” technology. This means that the perfect texture out of a selected texture type is automatically applied, and correctly sized. If you do want to manually align a texture however, that is also present, so you’re not creatively “locked down”. You can select a series of faces and add them to a layer. This allows you to quickly hide or show specific layers, keeping your work environment clean and organised. 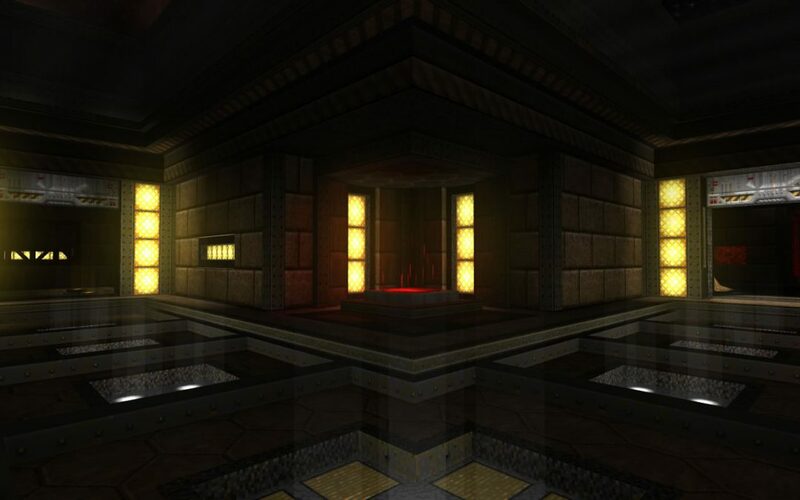 Having come from a doom background, I’m used to hand-drawing the lighting in my map. With Prodeus you’re able to place light entities and control their shape, size, colour, brightness, and even their pulse sequence; and all of the corresponding shadows are applied instantly. I’m also doing my part in advising what tools other mapping utilities are packaged with, and which ones would translate well into the Prodeus editor. I am also suggesting quality of life improvements that either make the tools easier to use, faster to use or both! So, by the time the early access release is out, we will have a very easy yet powerful editor for you to get your hands on. For those of you who are excited about this game, you can hop on over to Kickstarter where at the time of writing we have an active campaign, offering some fantastic early bird deals as well as limited edition merchandise on offer. If you’re not in a position to invest in the game, but still want to do your part in making this a success story, please share Prodeus with your friends and/or family! 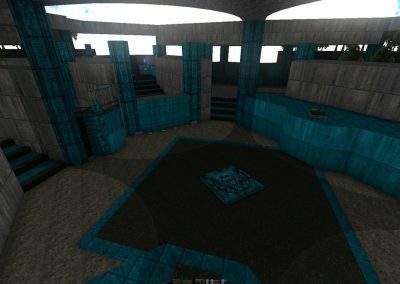 If you’re sitting there wondering “will Dragonfly ever make Doom maps again?”, the answer is yes! We all know Doom is Eternal, so I will be back at it in the future. In the meantime I’m still doing semi-regular Doom streams where I am participating in the DWIronman league, deathmatching with a few friends, or playing various WADs. However, for the time being I simply cannot contain my excitement for Prodeus, so will primarily be putting my focus into this fantastic new game and doing all I can to bring you a selection of well crafted levels for you to run rampage in! I hope to post a few bits and pieces about Prodeus up on this website in the future as more developments are made.